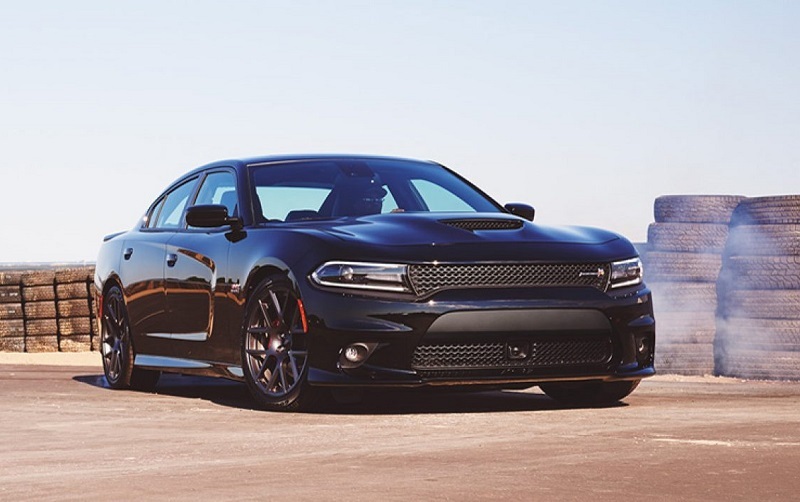 If you have a passion for legendary muscle cars, don't miss out on the 2018 Dodge Charger. While the Charger has always been known for delivering a high level of driving excitement, the new model is even more thrilling. You will love the Charger's engaging performance and powerful styling. A full-size cabin also makes the Charger a great car for families. Furthermore, more features now come standard. To get a great deal on a new Charger, be sure to visit Melloy Dodge. We offer Dodge Charger specials throughout the year. To find out why the new Charger deserves a spot in your driveway, read this Albuquerque car guide. No other car in the segment can match the Charger's curb appeal. It's a four-door muscle car that demands plenty of attention on the road. There are a number of exclusive styling cues that help the Charger to stand out. Everyone will notice the Charger's powerful stance. On the front, a signature crosshair grille and LED running lights help this car to make a bold statement. Like a traditional muscle car, the Charger comes standard with twin exhaust outlets. 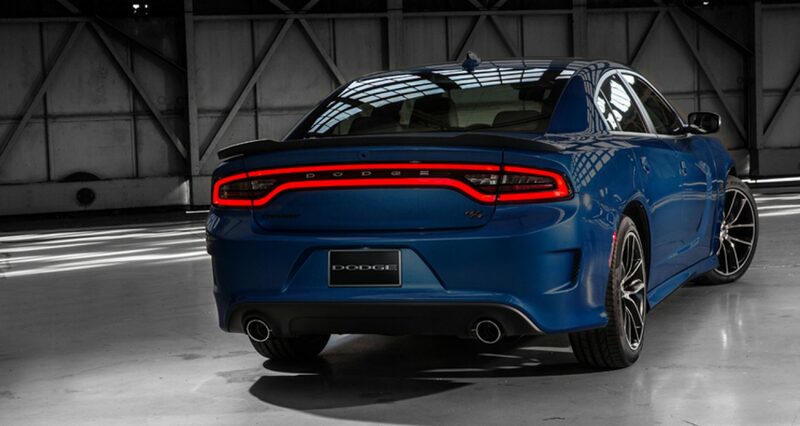 Racetrack LED tail lights take the Charger's attractiveness to the next level. While even the base SXT model will turn heads, you can bolster its curb appeal with the optional Blacktop appearance package. A sleek rear spoiler and blacked-out exterior treatments give the Charger an especially memancing look. You should also check out the special-edition Daytona model. A stunning body kit and race stripes enable the Charger Daytona to dominate the street. While the standard hood looks muscular, an available vented hood transforms the Charger into a true powerhouse. Several stylish wheel designs are available. Some of the beautiful paint colors include Yellow Jacket, Go Mango, TorRed, and IndiGo Blue. To see the entire new Charger lineup, visit Melloy Dodge! On the inside, the 2018 Dodge Charger boasts one of the roomiest cabins in the segment. This is a major benefit for the drivers who have a growing family. 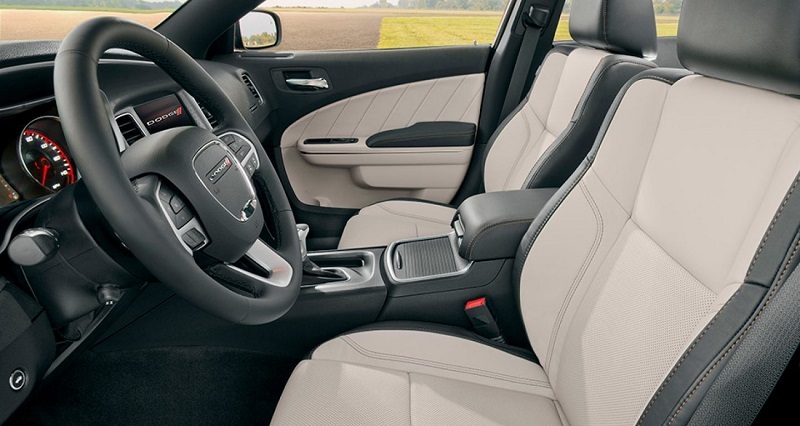 Because of the full-size Charger's great legroom, even tall passengers will be able stretch out. Up to five people will be able to join in on the run. Ventilated sport seats and heated rear seats are available on the higher trim levels. This car definitely comes ready to be taken on a long road trip. A ton of trunk space allows you to pack all of your travel bags. An increased number of standard features makes the new Charger even more appealing. Dodge's Uconnect interface with Apple CarPlay and Android Auto has garnered rave reviews. Meanwhile, a ParkSense backup camera helps you to easily maneuver the sedan in tight spots. Some of the other standard goodies include Bluetooth technology, a 7.0-inch touch screen, and dual USB ports. Of course, your local Dodge dealer serving Albuquerque Santa Fe Los Lunas New Mexico offers a long list of premium upgrades. Music fans will love the 10-speaker BeatsAudio sound system's pounding bass. Uconnect navigation is also available. Most drivers will love the Charger's traditional rear-wheel-drive system. Before heading down the drag strip, you'll be able to easily smoke the tires. However, opting for the advanced AWD system gives you the maximum traction in bad weather. When traveling on dry pavement, a special front axle disconnect feature helps ensure the optimum fuel efficiency. Everyone will enjoy the Charger's class-leading ride quality. The standard suspension does an amazing job of soaking up rough pavement. Smooth handling gives the Charger yet another advantage over the competition. As soon as you take a curve, you'll immediately notice the Charger's balanced driving dynamics. An available sports-tuned suspension further enhances the sedan's responsiveness. Pirelli performance tires are available as well. 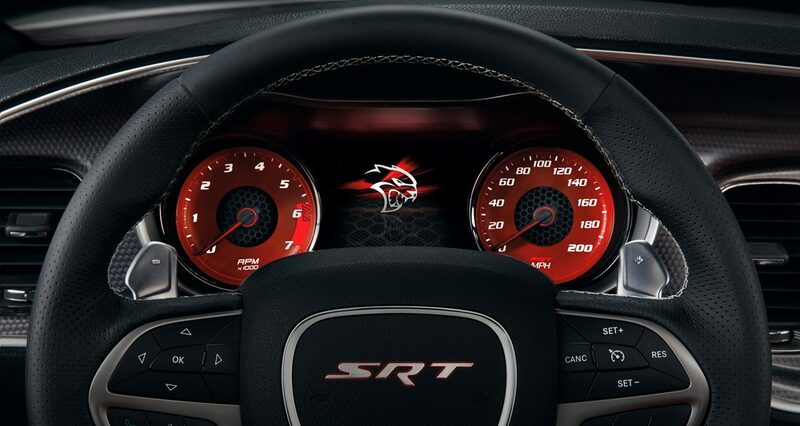 To give drivers even more control, the supercharged Hellcat model comes equipped with a performance-calibrated steering system. After reading this Albuquerque car guide, be sure to contact Melloy Dodge about scheduling a test drive! when checking out the new Charger at your local Dodge dealer serving Albuquerque Santa Fe Los Lunas New Mexico, you'll have several exciting engines to choose from. The base Pentastar V6 promises to save you extra at the pump. With nearly 300 horsepower on tap, it also packs quite a punch. An eight-speed automatic transmission ensures snappy acceleration. You can also step up to one of the available Hemi V8 engines. While the 6.4L version kicks out a thrilling 485 horsepower, some drivers won't be able to resist the Hellcat model's supercharged engine. It develops a thrilling 707 horsepower and 650 pound-feet of torque. A 0-60 time of 3.7 seconds makes the Charger Hellcat one of the quickest sedans on the planet. Come experience a test drive! Remember Dodge Charger specials will be offered. Stamped with a five-star overall safety rating, the 2018 Dodge Charger is built to keep your family secure. Aside from providing great impact protection, it also offers a number of advanced driving aids. While forward collision warning helps you to avoid crashing into stopped vehicles, blind-spot monitoring makes lane changes less stressful. Adaptive cruise control is also available. Meanwhile, upgraded brakes are found on the high-performance models. Thanks for checking out this Albuquerque car guide. Your local Dodge dealer serving Albuquerque Santa Fe Los Lunas New Mexico is now offering Dodge Charger specials!